Enough doses for two million treatments have been delivered to the U.S. government's national emergency stockpile — and the Canadian government isn't ruling out the possibility of buying some. For centuries, people lived in fear of smallpox, a disease characterized by a rash that turned into pustules, especially on the face, arms and legs. If you were lucky, you'd survive, but would often be scarred. 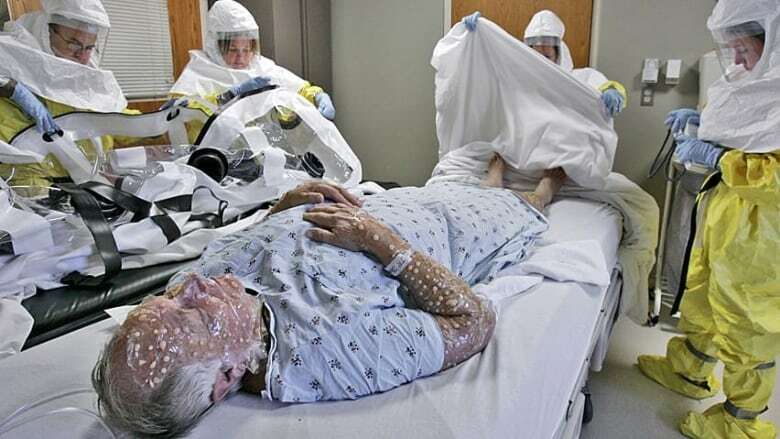 Up to one-third of the millions of people infected around the world died. Fortunately, it doesn't exist anymore. After a global vaccination campaign, smallpox was declared eradicated in 1980. So why has the U.S. Food and Drug Administration announced its approval of tecoviramat (brand name TPOXX) — the first medication for this terrible disease? The answer is defence against bioterrorism. In fact, the drug manufacturer's first customer is the U.S. government's Biomedical Advanced Research and Development Authority. 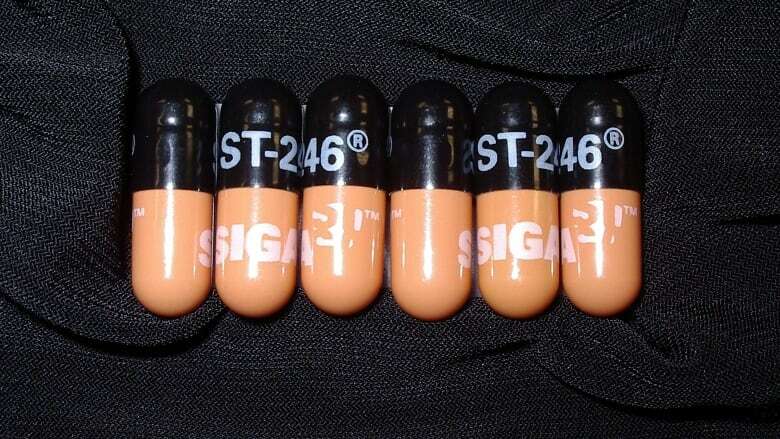 The manufacturer, SIGA Technologies, has delivered two million courses (each consisting of two capsules per day to be taken for 14 days) of TPOXX to the U.S. Strategic National Stockpile — a repository of vaccines and drugs to be used in the event of a rare disease outbreak or biothreat. The company wouldn't tell CBC News the price per dose — but its initial contract with the government is worth $472 million US, including the medication. Right now, the smallpox drug is only approved for sale to the American government, but SIGA has stated its intent to "explore additional markets and potential indications for TPOXX in the United States and around the world." One of those customers could be the Canadian government. "I think it's a potential future option," said Dr. Theresa Tam, Canada's chief public health officer. "While we have a vaccine against smallpox, we have been tracking treatments, drugs such as TPOXX, as it went through the developmental stage." Canada has its own national emergency stockpile of vaccines and treatments "for things that are unlikely to happen, but [are] potentially high impact," including smallpox, as well as Ebola and anthrax. If the manufacturer approached the federal government, Canadian officials would evaluate the drug's scientific merit and weigh the risks and benefits, before deciding whether to approve it and/or buy it, Tam said. But if smallpox has been eradicated, how could it be used as a bioweapon? Stocks of the virus do still exist, kept in two secure labs — one in the U.S. and one in Russia — for research purposes. Those locations are regularly inspected by the World Health Organization (WHO). 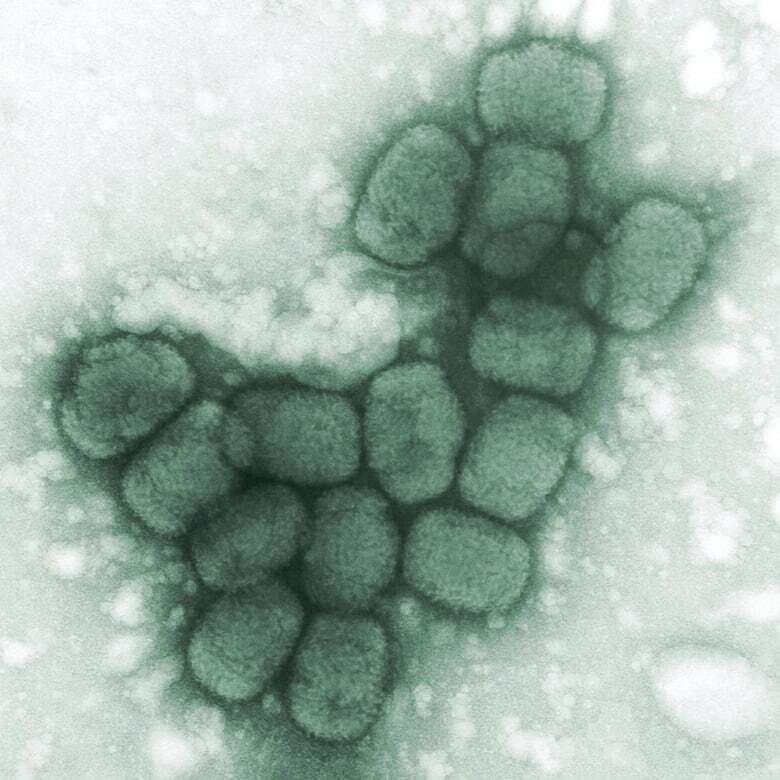 Although there's no evidence of any remnants elsewhere, it's possible there could be some, said David Evans, a professor specializing in virology at the University of Alberta and a former member of WHO's smallpox advisory committee. He is also a consultant for a competing company that is working on a different smallpox drug. A big concern is the advent of synthetic viruses, Evans said. His own research has shown it's possible to re-create the horsepox virus — which is in the same family as smallpox. "It's not beyond the realm of technically competent people to make the [smallpox] virus," Evans said. "It's not simple to do. It would take a very sophisticated laboratory with access to DNA synthesis technologies to do this." If someone wanted to make a virus for bioterrorism purposes, there are others that would be more infectious and simpler to manufacture than smallpox, he said. But smallpox "unfortunately has sort of a cachet" and the threat of it would cause "utter panic" because of its history of devastation, Evans said. That's why governments want to have treatments in stock. So how does TPOXX work? Smallpox is caused by the variola virus. The drug blocks the exit of the virus from the cells it infects, containing it before it can spread elsewhere in the body, Evans said. "So the drug stops the disease from progressing but you still rely on an immune system to clear it out." WHO documents confirm that more drugs to treat smallpox are in the works. As of 2016, Russia was developing one called NIOCH-14, and another U.S. company has reported progress on a drug called brincidofovir.